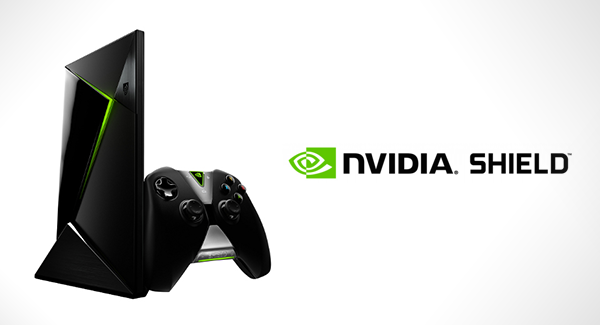 Come May and we will witness Nvidia’s first foray into the TV console gaming market. The graphics giant, more known for its cutting edge GPUs, has been for the last couple of years trying to branch into a market dominated by the other three big players: Sony, Microsoft and Nintendo. The console which Nvidia calls the “Android TV console” is to come with a very powerful Tegra K1 processor, a Maxwell-generation GPU and 3 gigs of ram, running a version of Android. The Shield’s hardware specs are weaker than both the PlayStation 4 and the XBox One, with Nvidia claiming performance figures to be twice that of the previous generation PS3 and the Xbox 360. However, what sets the Shield apart from its competitors is its advertised ability to stream 1080p resolution 60 fps gaming into your TV (where all the computing is done by Nvidia’s server farms via Nvidia’s grid service). Needless to say, stable, high-speed internet connectivity is a must-have for this feature, with Nvidia recommending 15 Mbps. Not only that, some of the year’s most anticipated games which include the latest iterations of the Witcher and Metal Gear Solid saga, will be available on launch for the Shield. Although the initial library will be small, this will likely be expanded rapidly in the future and with both AAA and Android games made available. So, if there’s one thing that you can be certain of about the forthcoming Shield console, it’s the obvious fact that running out of good games is unlikely to be an issue – ever! Nvidia’s approach certainly throws a new insight into the gaming industry. As today’s state-of-the-art hardware becomes average and then obsolete within a span of not more than 2-3 years, Nvidia’s champion with its cloud computing prowess could save a lot in expensive and regular hardware updates. Also, with its versatility and ability to stream 4k video output, Shield definitely has the potential to entice a lot of PC gamers who are looking to play their games on bigger screens and also want the accessibility of a console. However, while the Tegra K1 processor is very capable, it will no doubt be surpassed by something more powerful sooner rather than later – especially if we choose to take the pace set in the Smartphone market as an indicator. This implies that Nvidia may be banking more on a strategy of much faster console upgrades, compared to current industry practice of following usually ten year cycles. Even with its purported versatility, Nvidia’s offering may not get enough time to build its fan base before being eclipsed by the next upgraded model. Consumers may also shy away from the fact that while they will have upgrade their more traditional consoles once every ten years, going with the Shield might entail a more frequent and hence expensive upgrade cycle. However, with the Shield being priced at $ 199 in the US, it is also cheaper than its competitors. This might assuage some of the upgrade fears. If the Shield can achieve its potential, very soon we might have a device that is not only capable of streaming 4k resolution output; but is also a dedicated gaming console to boot. So, do you think Nvidia’s Shield has the potential to make it big in the worldwide gaming console market? Feel free to share your thoughts using the comment box below.